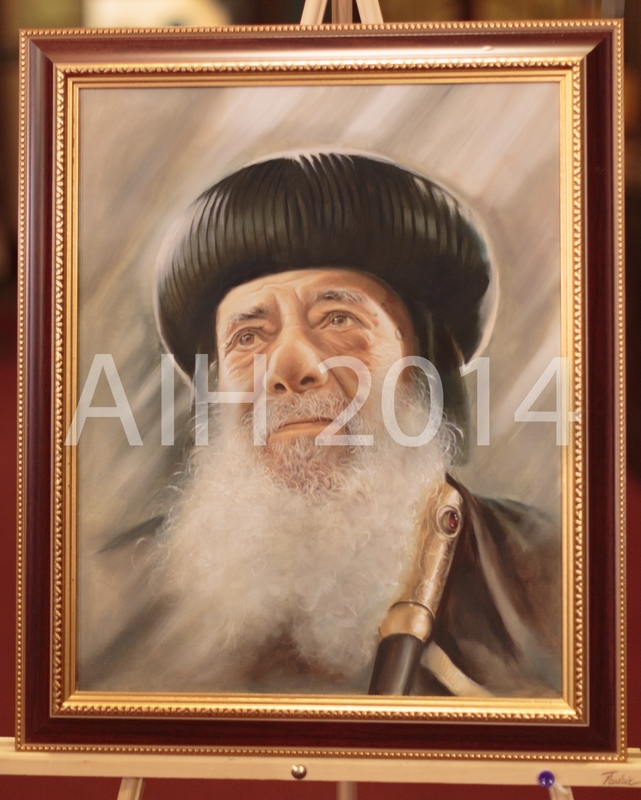 Pope Shenouda is an icon to Coptic people and Muslims alike. I found this popular image of His Holiness striking as he gives an unfading gaze that completely epitomizes a shepherd`s watchful eye over his flock. I did not hesitate to paint this picture.